Unless you’ve been living under a rock for the past few years, you’ve probably seen articles — or their younger, hipper cousins, listicles — touting the importance of self-care. Whether it’s a response to the toxic, polarizing political climate in the United States, or because of Millennials’ increased awareness and acceptance of mental health issues, the self-care industry has been booming. And it shows no sign of slowing down. As many of those articles point out, self-care is about much more than splurging on glittery bath bombs, getting a mani-pedi, or treating yourself to a $10 piece of avocado toast. It also means speaking your truth, saying no to obligations when your schedule’s already crammed, and carving out time for activities that truly re-energize you. What if we could give ourselves the best of both worlds? What if we could attend to our emotional needs as easily as we develop a beauty routine? The following personal care products are meant to pamper you, but they aren’t your run-of-the-mill facial masks. From head to toe, from physical health to emotional well-being, these personal care products will make you feel like a million bucks! Not that kind of personal massager — although that kind is definitely one great way to practice self-care. But we’re talking about taking some of the tension out of your neck, shoulders, and back. Most of us get pretty knotted up back there. For less than the average cost of an hour-long rubdown at your favorite spa, you can give yourself the gift of massage whenever you want it with a shiatsu massager. These over-the-shoulder versions offer differing levels of intensity and an optional heat setting for even more relaxation. The handholds let you adjust the massaging roller balls to target sore spots. Or you can place your arms through the loops in order to read or study while you’re getting relief from those aching muscles. Practicing yoga is a fantastic way to tend to your body, spirit, and soul. It will tone your muscles, teach you relaxing breathing techniques, help you cultivate mindfulness, and relieve stress. Yoga can be practiced by people of all shapes, sizes, and fitness levels. And even just 10 or 15 minutes of yoga can be wonderfully restorative. While you don’t need a mat, towel, strap or block to practice yoga, having these tools on hand might make your practice easier and more enjoyable. Check out one of YouTube’s most popular yogis, Adriene Mishler, whose loving, lighthearted, and definitely unstuffy approach to this ancient practice has earned her more than four million subscribers. Have you ever bought a cheap or disposable product and thought to yourself, “They just don’t make ’em like they used to”? American consumers have been so inundated with poorly made personal care products that they’re fed up — and embracing good quality, durable items. If you shave your legs and underarms, you owe it to your skin to use only the best razor. Think that flimsy pink plastic razor from the drugstore, the one that boasts eleventy-billion blades and built-in lubrication, gives you a close shave? Think again. Try a real safety razor, one that’s manufactured to last and engineered to give you smooth, stubble-free skin. Read more about the benefits of shaving with a real razor here. Buying a razor that lasts a lifetime is a great way to keep plastics out of our landfills! If you don’t choose to shave, maybe there is a man in your life who would appreciate a high quality shaver as a holiday gift. Want to put your best face forward? Of course you do; we all do. A visit to the spa for a facial qualifies as self-care, but overdrawing your checking account definitely does not. So why not invest in a derma roller, to make your at-home skin care routine even more effective? This small-but-powerful tool is made up of a roller surface covered with hundreds of very tiny needles. Don’t worry — these needles are so tiny that this treatment won’t hurt, even though its purpose is to create micro-injuries to the skin’s surface. Such injuries signal your body to send elastin and collagen to the rescue. With regular use, you will see firmer, smoother, younger looking skin. Using a derma roller can help reduce fine lines and wrinkles, eliminate undereye bags and dark circles, and minimize the appearance of acne scars. Making your environment more appealing as an act of self-care? You bet! Keep the whole house smelling great with an essential oil diffuser. Essential oils can enhance your mood, help you relax, or complement a meditation session. Many diffusers come with light options, and create a soft glow in a variety of colors to further augment the ambiance. They work well as nightlights for this reason, too. And when it comes to the essential oils, there are so many delectable scents that it might be hard to choose a favorite. You can opt for the fragrances that simply smell good, or select them based on their aromatherapy properties. Today’s hectic pace of life can make it difficult for anyone to take care of themselves — physically, emotionally, and spiritually — to the extent that they’d like. 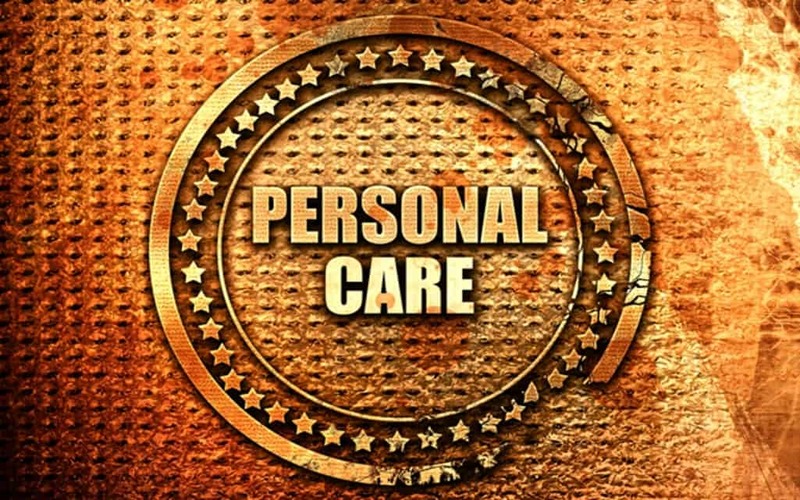 However, the recent explosion in personal care products and other items to help you nuture yourself means that self care is never more than a few moments away. What does self-care mean to you? Do you make regular visits to the spa, get together with your girlfriends for margaritas, or have a standing date with yourself to meditate every evening? Leave a comment below and start a conversation! Top 12 Makeup Rules That Everyone Needs to Follow!! !